Jane Austen’s 1811 novel, “Sense and Sensibility” has been a favorite with her modern-day fans. The novel has produced at least three television and two movie adaptations and a literary parody. However, this review is about the seven-part, 1981 BBC adaptation. Directed by Rodney Bennett and adapted by Alexander Baron and Denis Constanduros, “SENSE AND SENSIBILITY” starred Irene Richards and Tracey Childs as the two main protagonists – sisters Elinor and Marianne Dashwood. The story focused on the sisters’ attempts to find happiness in the tightly structured society of early 19th century England. Through their experiences with men and their relationship with each other, Elinor and Marianne learn that one must strive for a balance of both sense and sensibility. From an overall point of view, this “SENSE AND SENSIBILITY” seemed to be a solid adaptation of Austen’s 1811 novel. I have noticed in many articles and reviews of Austen adaptations made in the 1970s and 1980s, fans tend to view them as “faithful” in compare to later ones. Frankly, I have yet to see an Austen adaptation made before or after 1986 as completely faithful. And I can extend this opinion to this 1981 production. One, Baron and Constanduros’ screenplay began with the grieving Dashwood women returning to Norland Hall, after viewing a potential new home. And there is no sign of a Margaret Dashwood – the youngest of the three sisters – in sight. But since the other versions of the novel are no more or less faithful, I do not have a problem with this. But I did have a problem with the miniseries’ ending. It featured Edward Ferrars asking for Elinor’s hand in marriage and Colonel Brandon commencing his courtship of a receptive Marianne. That is it. The ending seemed a bit too abrupt for my tastes. 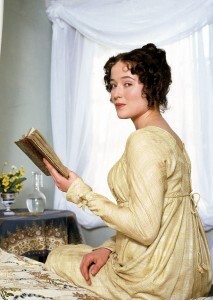 And I had other problems with “SENSE AND SENSIBILITY”. Peter Woodward gave a charming performance as the novel’s ne’er-do-well, John Willoughby. Unfortunately, Woodward’s presence barely made a dent in the production. 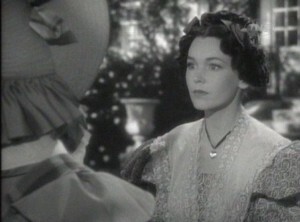 And his biggest scene – in which Willoughby expressed remorse for his bad treatment of Marianne to Elinor – featured some over-the-top acting. 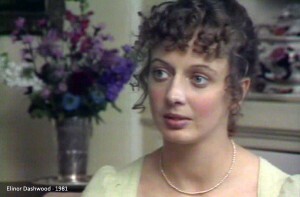 Watching Diana Fairfax’s performance as Mrs. Dashwood, I found myself wondering why Elinor was forced to assume so much responsibility for their household at Barton Cottage. Fairfax’s Mrs. Dashwood barely seemed like the emotional widow who was forced to come down to earth by her more sensible older daughter. She seemed just as sensible in her own way. 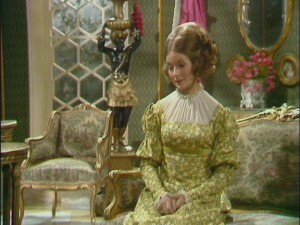 I barely remember Marjorie Bland’s portrayal of Mrs. Jennings’ older daughter, Lady Middleton. She failed to leave a mark in my memories. I could say the same about Hetty Baynes as Mrs. Jennings’ younger daughter, Mrs. Charlotte Palmer. And Margot Van der Burgh’s Mrs. Ferrars seemed more like a dress rehearsal for Lady Catherine de Bourgh in Austen’s “Pride and Prejudice”. But there were performances that impressed me. Julia Chambers and Pippa Sparks made a very entertaining Lucy and Ann Steele. I was especially impressed by Chambers’ performance, which struck a fine balance between Lucy’s scheming and desperation to become a member of the respectable and wealthy Ferrars family. Philip Bowen’s portrayal of Robert Ferrars struck me as rather funny. He gave the character a foppish edge that I have never seen in other portrayals of the character. Donald Douglas was certainly down-to-earth in an affable manner as Mrs. Dashwood’s cousin, Sir John Middleton. 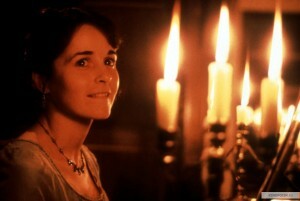 Amanda Boxer gave a spot-on portrayal of the cold-blooded and domineering Fanny Dashwood. But the one performance that really impressed me was Peter Gale’s as the Dashwood family’s new patriarch, John. Although he gave a solid performance in the miniseries’ early episodes, he really came into his own in the role, when the story shifted to London. I was especially impressed by one scene in which Gale’s John tried to point out the suitability of Colonel Brandon as a match for Elinor. At first, I was not that impressed by Robert Swann’s portrayal of Colonel Brandon. However, as the story progressed, Swann skillfully revealed the character’s passion and emotions behind the stoic facade. There are two other performances of which I have a similar view. 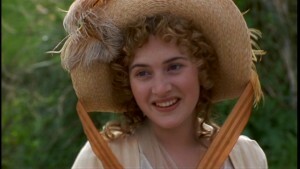 When I first saw “SENSE AND SENSIBILITY”, I had regarded Bosco Hogan’s portrayal of Edward Ferrars as boring. But numerous viewings made me realize that he gave a very subtle performance. With a bit of patience, I noticed how Hogan managed to express Edward’s feelings about Elinor and Lucy with the expressions on his face and in his eyes. 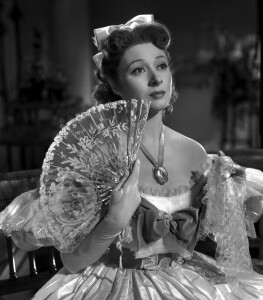 I also became more appreciative of Annie Leon’s portrayal of the cheerful Mrs. Jennings. She was no Elizabeth Spriggs or Patricia Rutledge, but I must admit that I was very impressed by the manner in which she captured Mrs. Jennings’ friendly, yet vulgar personality . . . especially in the production’s second half. Both Irene Richards and Tracey Childs gave solid performances as Elinor and Marianne Dashwood. The two actresses did a first-rate job of holding the miniseries together as the the leads. And both were somewhat spot-on in their portrayal of the two sisters. Mind you, I would have liked if Richards had revealed the passion that Elinor harbored for Edward in small moments. And I wish that Childs’ Marianne was not so sober – especially in a few scenes in the miniseries’ earlier episodes. But in the end, they did a very good job. As far as production design goes, I am afraid that Paul Joel did a solid job. But there was nothing about his work that I found particularly impressive. I suspect that he may have been hampered by the budget. 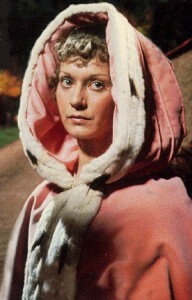 I was NOT impressed by Dorothea Wallace’s costumes. Frankly, I found them rather cheap looking and in some cases, slightly ill fitting. Like the miniseries’ production design, it was probably hampered by the budget. Overall, I would have to say that this “SENSE AND SENSIBILITY” was the least impressive looking adaptation I have ever seen. “SENSE AND SENSIBILITY” had its virtues. Both Irene Richards and Tracey Childs gave solid performances and kept this production together, along with director Rodney Bennett. The supporting cast also included memorable performances from the likes of Peter Gale, Amanda Boxer, Donald Douglas, Julia Chambers Bosco Hogan and Robert Swann. And screenwriters Alexander Baron and Denis Constanduros managed to create a solid script that was nearly faithful to the story. And despite a few disappointing performances and some slightly underwhelming costumes, my regard for this production has risen over the years. Much to my great surprise. I suspect that many fans of the DC Comics character “Batman” and the “Zorro” character would be nonplussed at the idea that a novel written by a Hungary-born aristocrat had served as an inspiration for their creations. Yet, many believe that Baroness Emmuska Orczy de Orczi’s 1905 novel, “The Scarlet Pimpernel” provided Western literature with its first “hero with a secret identity”, Sir Percy Blakeney aka the Scarlet Pimpernel. There have been at least nineteen stage, movie or television adaptations of Orczy’s novel. Some consider the 1934 movie adaptation with Leslie Howard, Merle Oberon and Raymond Massey as the most definitive adaptation. However, there are others who are more inclined to bestow that honor on the 1982 television adaptation with Anthony Andrews, Jane Seymour and Ian McKellen. I have seen both versions and if I must be honest, I am inclined to agree with those who prefer the 1982 television movie. “THE SCARLET PIMPERNEL” – namely its 1982 re-incarnation – is based upon the 1905 novel and its 1913 sequel, “Eldorado”. Set during the early period of the French Revolution, a masked man and his band of followers rescues French aristocrats from becoming victims of the Reign of Terror under France’s new leader, Maximilien de Robespierre. The man behind the Scarlet Pimpernel’s mask – or disguises – is a foppish English baronet named Sir Percy Blakeney. For reasons never explained in the movie, Sir Percy has managed to gather a group of upper-class friends to assist him in smuggling French aristocrats out of France and sending them to the safety of England. During a visit to France, Sir Percy meets a young French government aide and the latter’s actress sister, Armand and Marguerite St. Just. He eventually befriends the brother and courts the sister. Sir Percy also becomes aware of Armand’s superior and Marguerite’s friend, Robespierre’s agent Paul Chauvelin. Angered over Marguerite’s marriage to Sir Percy, Chauvelin has the Marquis de St. Cyr – an old enemy of Armand’s – executed in her name. After being sent to England to learn the identity of the Scarlet Pimpernel, Chauvelin discovers that Armand has become part of the vigilante’s band. He blackmails Marguerite – now Lady Blakeney – into learning the identity the identity of the Scarlet Pimpernel. Meanwhile, the Blakeney marriage has chilled, due to the news of the Marquis de St. Cyr’s execution and Marguerite’s alleged connection. But a chance for a marital reconciliation materializes for Marguerite, when she discovers the Scarlet Pimpernel’s true identity. I feel that screenwriter William Bast made the very wise choice of adapting Baroness Orczy’s two novels about the Scarlet Pimpernel. In doing so, he managed to create a very clear and concise tale filled with plenty of drama and action. He also did an excellent job in mapping out the development of the story’s main characters – especially Sir Percy Blakeney, Marguerite St. Just, Paul Chauvelin and Armand St. Just. I was especially impressed by his handling of Sir Percy and Marguerite’s relationship – before and after marriage. Sir Percy’s easy willingness to believe the worst about his bride provided a few chinks into Sir Percy’s character, which could have easily morphed into a too perfect personality. More importantly, Bast’s script gave Paul Chauvelin’s character more depth by revealing the latter’s feelings for Marguerite and jealousy over her marriage to Sir Percy. Bast’s re-creation of the early years of the French Revolution and Reign of Terror struck me as well done. However, I wish he had not faithfully adapted Orczy’s decision to allow the Scarlet Pimpernel and his men to rescue the Daupin of France (heir apparent to the French throne), Louis-Charles (who became Louis XVII, upon his father’s death). In reality, Louis-Charles died in prison from tuberculosis and ill treatment at the age of ten. Surely, Bast could have created someone else important for the Scarlet Pimpernel to rescue. The movie also featured some first-rate performances by the supporting cast. Malcolm Jamieson did an excellent job in portraying Marguerite’s older brother, Armand. I was also impressed by Ann Firbank, who was first-rate as the embittered Countess de Tournay; James Villiers as the opportunistic Baron de Batz; Tracey Childs as the lovesick Suzanne de Tournay; and Christopher Villiers as Sir Percy’s most stalwart assistant, Lord Anthony Dewhurst. Julian Fellowes made a very colorful and entertaining Prince of Wales. And Richard Morant proved to be even more subtle and sinister than McKellen’s Chauvelin as Maximilien de Robespierre. After my latest viewing of “THE SCARLET PIMPERNEL”, I found myself surprisingly less supportive of the Scarlet Pimpernel’s efforts than I used to be. Perhaps I have not only become more older, but even less enthusiastic about the aristocratic elite. It was then I realized that despite the presence of Marguerite and Armand St. Just, “THE SCARLET PIMPERNEL” is based on two novels written by an aristocrat, with views that were probably as liberal as Barry Goldwater. Oh well. 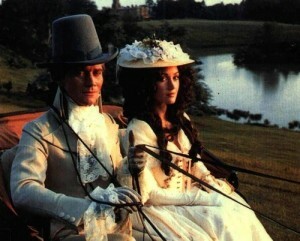 I still managed to garner a good deal of entertainment from a movie that has held up remarkable well after thirty years, thanks to some lively direction by Clive Donner, a first-rate script by William Bast and superb performances by the likes of Anthony Andrews, Jane Seymour and Ian McKellen.